Detroit punk band Protomartyr filled a sparkling Cleveland stage with clamoring noise on an autumn night just a little less than two weeks before the release of their newest album, Relatives In Descent. Frontman Joe Casey’s stage presence was vaguely disconcerting, from his first breath into the mic to his final exit from the stage. His performance took on the trappings of a drunken street preacher as he shouted prophecies of forthcoming doom and redemption to the crowd while casually holding a can of Black Label. I was entranced with every breath, every bark, every flash of spit. As the room’s noisy heat built, however, others appeared visibly disgusted and uncomfortable, with some audience members walking out partway through the set. They were completely unbeknownst to what they were about to miss. 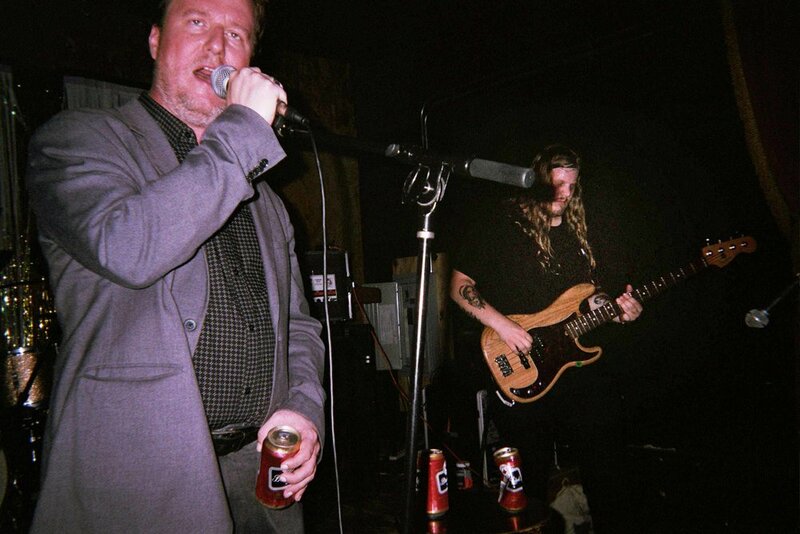 Protomartyr stormed through their 2015 album The Agent Intellect almost in its entirety, even including the rarely performed live “Feast of Stephen” and songs such as “Cowards Starve” and “Why Does It Shake?”, as their diehard fans yelped and screamed along with the band. Casey stood at the helm of it all, with his deeply fixed gaze and spitting cadence, commanding the pulsating crowd while simultaneously becoming one with it. With guitarist Greg Ahee to his right, the performance took on the energetic trappings of a basement church revival healing. Ahee tore through each song, furiously shaking with upturned eyes, as if in the throes of exorcism. The Protomartyr rhythm section, comprised of Alex Leonard (drums) and Scott Davidson (bass), initiated each pounding beat, setting the crowd into an even more energetic frenzy. The band’s discordant ballads would boil up to the point of seizure, yet Casey stood unflinchingly spewing his lyrical diatribe, condensing the chaos around him into a solemn baritone bark. Protomartyr’s performance left the faithful in that rare form of ecstasy: fully sated, yet wanting more, more and yet more.